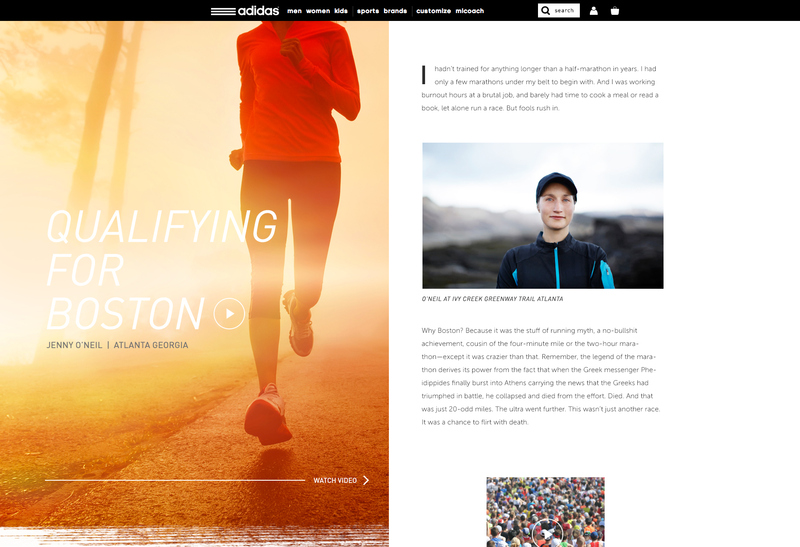 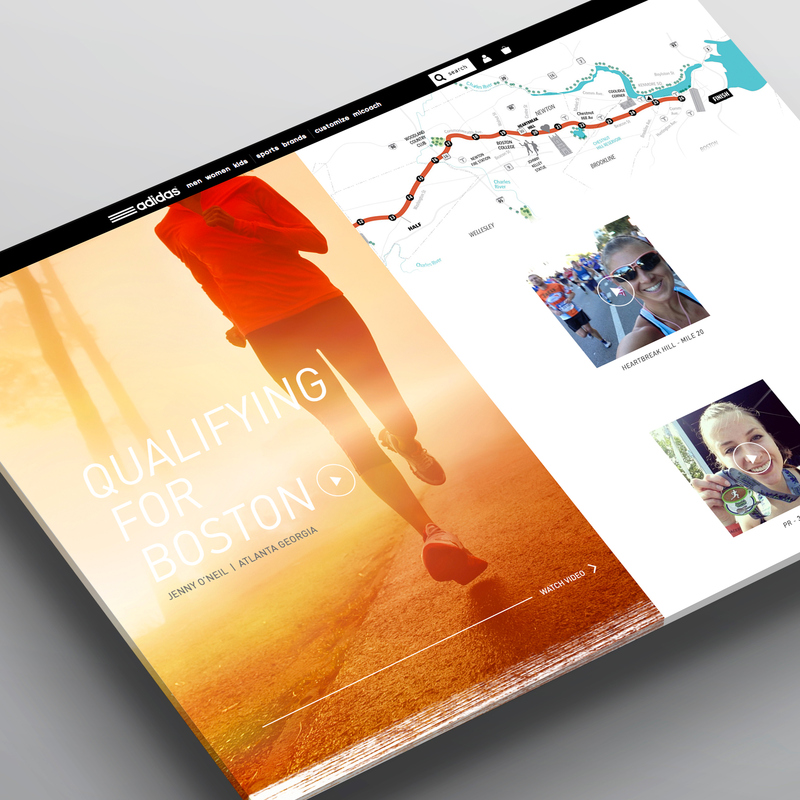 Story telling scrolling design which follows a real runner's training and journey to Boston marathon. 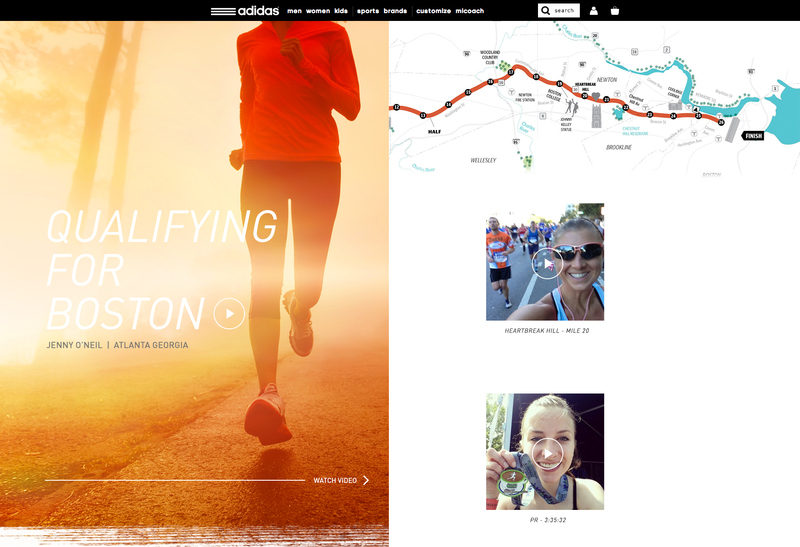 Integrates user's Instagram account to populate the story's content. 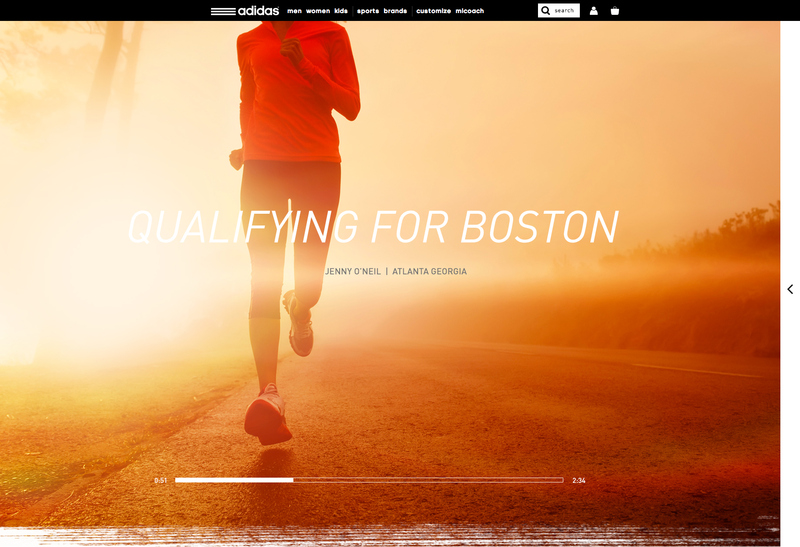 Easy soft sell exit points to ecom with featured product in storyline.